So says the infuriatingly catchy song in The Lego Movie. It takes place in a Lego world, populated by the yellow-faced, claw-handed minifigures we all know and love. 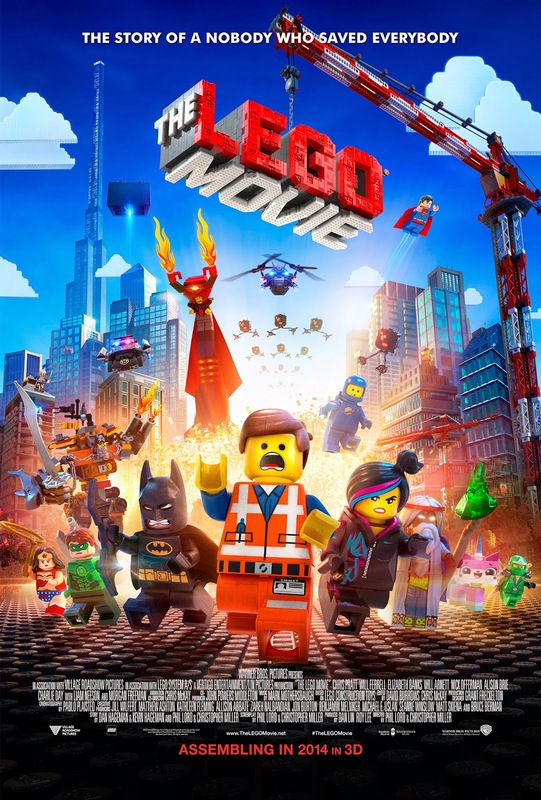 An ordinary construction worker named Emmet is rudely ejected from his well-ordered life; he has to discover his inner talents, become a master builder and save the world. This movie reminds me of the original Lego Star Wars game, back in the prehistoric days of the Playstation 2. It was the game of the toy of the incredibly disappointing prequel movies. It could so easily have been dreadful, yet it was a work of sheer brilliance. So it is with TLM. This is a hilarious celebration of all things Lego, particularly the scope for building weird new things limited only by your imagination. Character development is not quite as good as the likes of Despicable Me, Wreck-It Ralph or the best efforts of Pixar, and the moralising sometimes gets a little heavy-handed, but I think that is forgivable. What this film does have going for it is incredible visual inventiveness, anarchic joy and enthusiasm. There are some great jokes for the adults including a running gag about Lego Batman, which gleefully sends up the grim, gloomy caped crusader of the Christopher Nolan films. It has an excellent voice cast, including a few Well Known Actors voicing Lego versions of the characters which made them famous. TLM will not be to everyone's taste. But if you want a fun, brightly coloured thrill ride, leaving you with that song in your head (whether you like or not) and a big grin on your face, then it's a fine choice. Loved it! Loved Despicable Me II more. I haven't seen Despicable Me 2, but based on the first one I'm pretty sure I would agree!